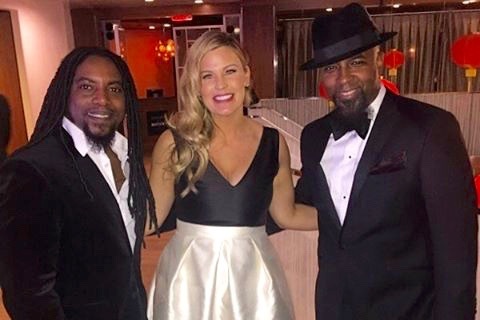 During his visit at The Grammy Awards, Tech N9ne had the chance to meet up with some friends. One of those friends includes Lajon Witherspoon, Sevendust frontman. The two met during Tech N9ne’s trip to the Grammy’s. According to Witherspoon’s Instagram, we may be hearing a collaboration from the two artists in the future. Being that Tech has worked with Rock artists such as Corey Taylor and Serj Tankian, this could be something to look forward to. Would you like to see Tech N9ne and Witherspoon collaborate? What other heavy metal artists would you like to see Tech N9ne collaborate with?